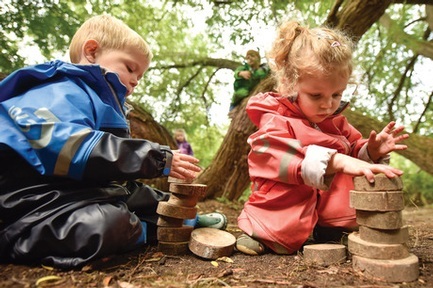 Whether you're a parent whose child is already enjoying their days with Little Forest Folk or a parent interested in exploring the options for registering your child with us, we'd love to hear from you! Please check our FAQ page to see if your question is already answered or see how to join a waiting list below. You can also sign up for our newsletter at the bottom of the page to keep up-to-date with everything Little Forest Folk. Most of our waiting lists are currently closed due to high demand, the waiting list for our Twickenham nursery opening in April 2019 is now open! For future news and updates please join our mailing list or follow the links below to learn more about each of our nurseries. If you are on an existing waiting list: Places will be allocated as they become available to families on the waiting list, based on the days we have available, the age of the child and the date the family joined the waiting list. We can’t guarantee places until an offer is made. We will endeavour to inform parents by email at least eight weeks before admission but on occasion, it maybe less. See more information in our admissions policy. To change your preference: To update us about ideal start date, sessions and days please email Paige at paige@littleforestfolk.com. To help us find you on the waiting list please include the following information; nursery location, child's name and date of birth. Join our mailing list for future holiday camp updates. Existing holiday camp bookings: To learn more about our holiday camps read our camp essentials guide and for what to wear see our recommended summer kit list.